Working as a StarWind Support engineer is sometimes tricky, as on certain occasions my colleagues and I have to deal with things that go far beyond supporting only the StarWind products. 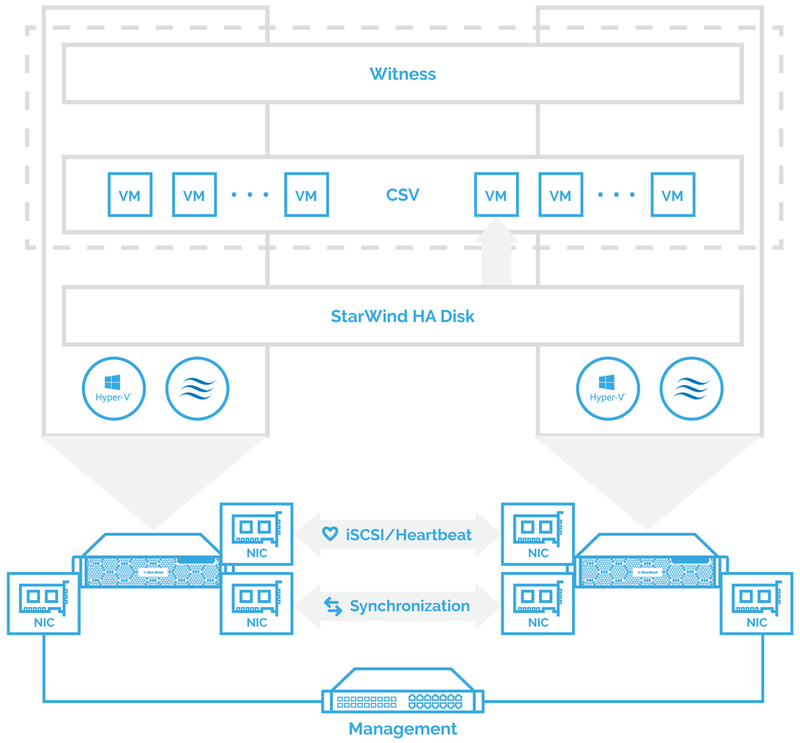 In many cases, it is closely connected with hypervisors, client’s software used in clustered VMs with their storage on StarWind HA disks. Not so long ago I have come across a situation where the non-conventional use of StarWind disks has taken place, as per the client’s requirements. 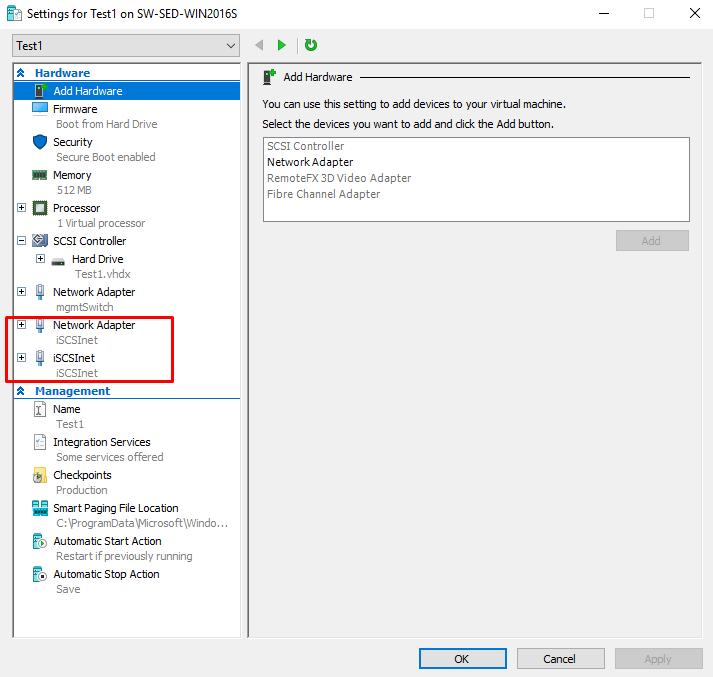 Instead of configuring pure Cluster Shared Volumes for the Microsoft Failover Cluster with VM’s VHDX disks on top of those CSVs, we had to introduce separate StarWind HA disks directly into the clustered VMs. To better understand the idea, below is the scheme demonstrating this approach. In my test environment, I am using Windows Server 2016 that is capable of hot-adding the network interfaces to the guest VMs. 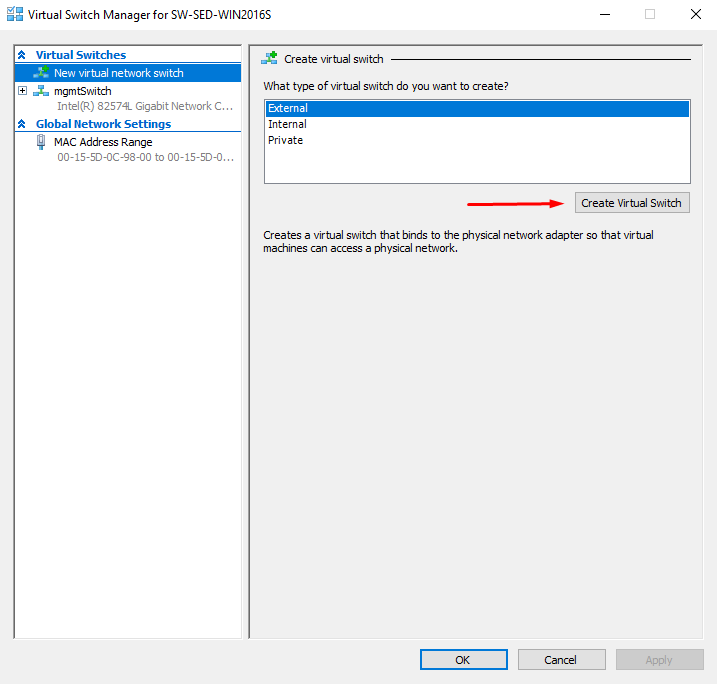 As the main thing about configuring this is proper network setup for the VMs to be able to discover the storage provided by StarWind VSAN, I will consider the networking part of the setup, particularly manipulations with the Hyper-V switches that use the physical adapters dedicated to the iSCSI traffic. However, I prefer the latter. I run this on both StarWind nodes if I want the setup to have paths to the storage from both nodes. Next step is to add the newly created switch into the VMs. 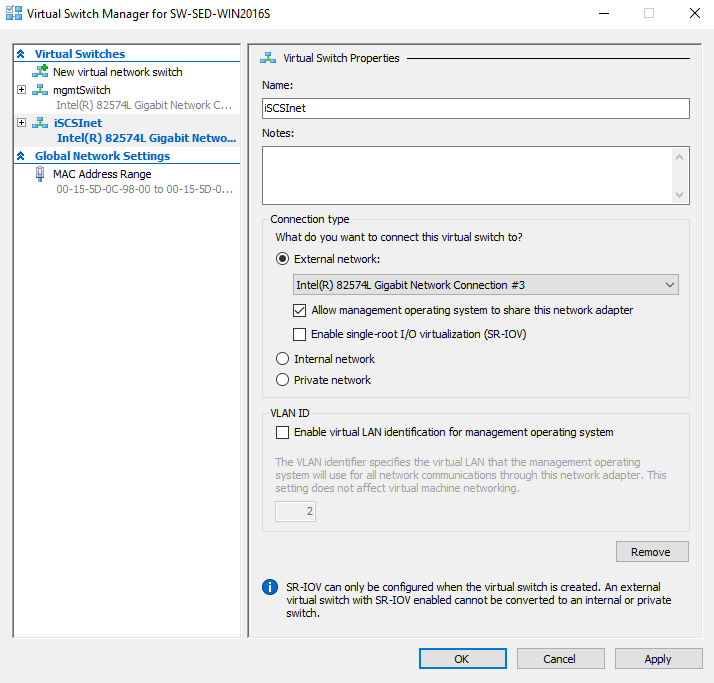 After this is added, I select the network adapter and assign the vSwitch, to which it is going to connected. Sure thing, if you have only one VM, there won’t be any benefit of using PowerShell instead of GUI except for the reason of giving your adapter some custom name. If you compare the two network adapters in the picture below, you’ll definitely see the different names they have. The top one was created using GUI, while the bottom one was created from PowerShell. 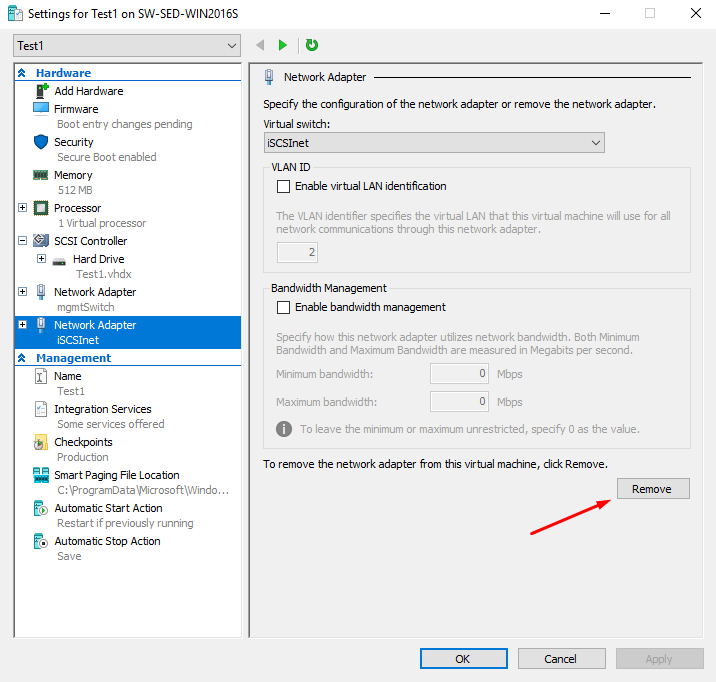 After the networking part is done on the Hyper-V hosts, the VMs should be configured to have access to replicated StarWind storage, but it is out of the scope of my today’s post. 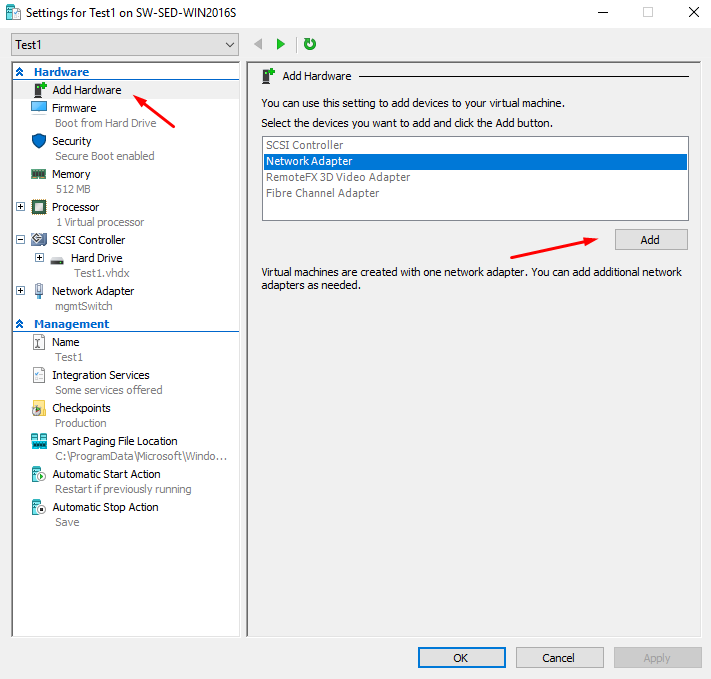 In the VM settings, select the network adapter to be removed and click on the Remove button. 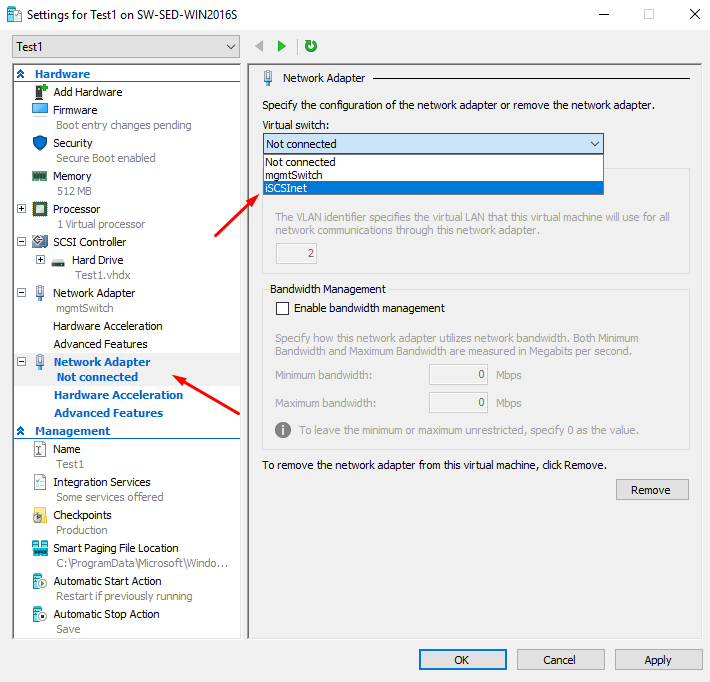 Hope this information will be interesting for those following the path of experimenting with networking in non-conventional setups of the StarWind VSAN hyperconverged systems.  As we see, Windows Server 2016 offers new possibilities for manipulating network settings for VMs in live environment, with certain features being easily done from both GUI and command line, and some options being available from command line only. Feel free to select the one you prefer and that suits your particular purpose. Boris is a Tech Support Engineer at StarWind. 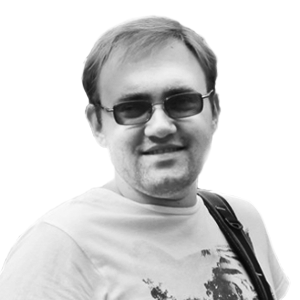 He is keen on virtualization and adores playing around with Java and PowerShell.